Well molded standing with hands clasped before them, their long winter coats thrown over their shoulders atop belted tunics, trousers and tall soft boots, their faces with broad features below a soft cloth head covering, covered with a finely crackled straw glaze (2). Notes: 'Turko-Mongolian' refers to the people who lived to the immediate north and northwest of China. 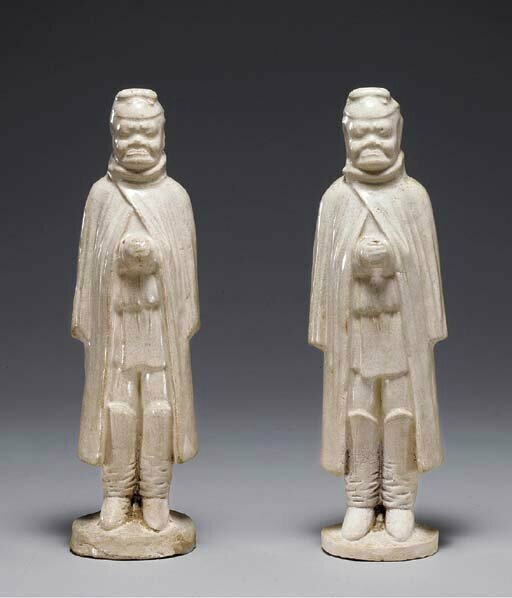 These types of figures have been attributed to the Sui tombs at Luoyang, Henan. 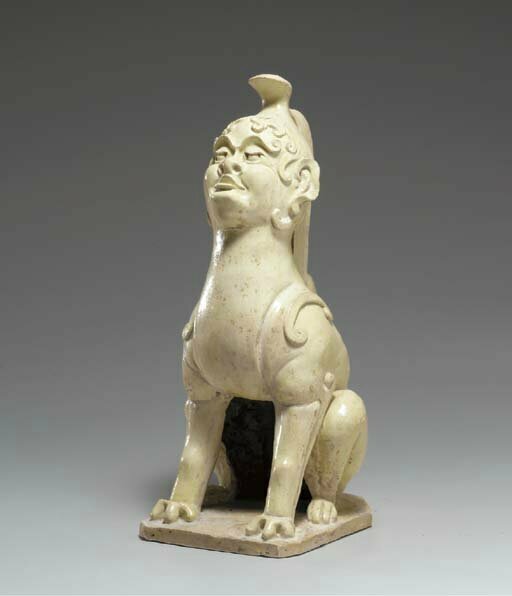 Similar examples can be found in the Asian Art Museum of San Francisco, illustrated by He Li, Chinese Ceramics: A New Comprehensive Survey From the Asian Art Museum of San Francisco, New York, 1996, p. 88, fig. 131; the Philadelphia Museum of Art, illustrated by E. Schloss, Foreigners in Ancient Chinese Art From Private and Museum Collections, China House Gallery, The China Institute in America, New York, 1969, fig. 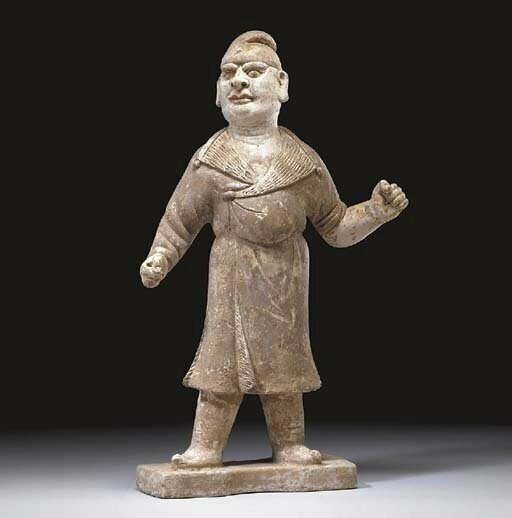 56; and in the Schloss Collection, illustrated by J. Baker in Appeasing the Spirits: Sui and Tang Dynasty Tomb Sculpture From The Schloss Collection, New York, 1993, p. 24, fig. 20.